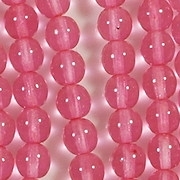 Colors/description: Clear glass beads with a light-pink synthetic coating (the coating is polymer-based). 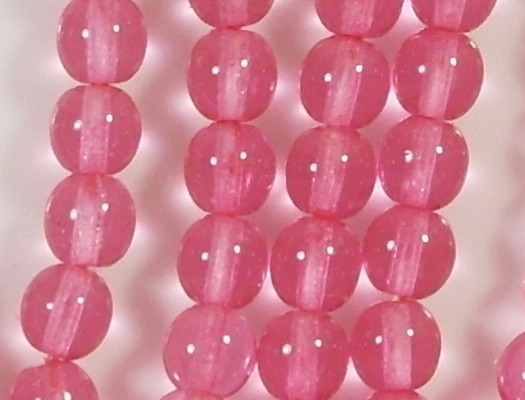 Defects: I noticed one bead that had a speck of dirt in the glass, but otherwise they look fine. 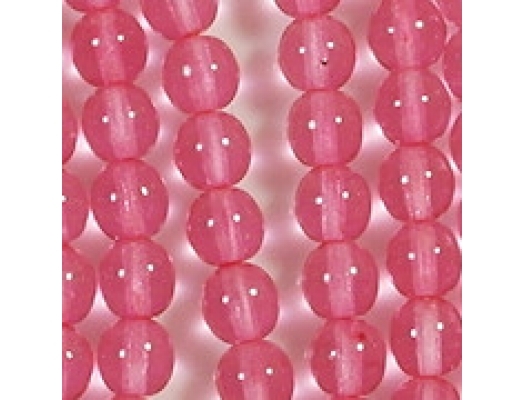 Comments: I've apparently had these beads for years and forgot about them (sometimes that happens). 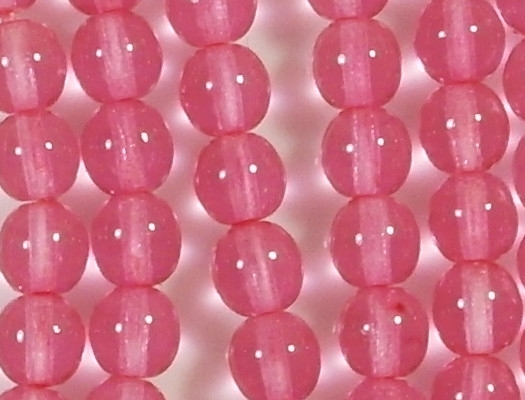 The synthetic coating is harder than the synthetic coating on pearls. 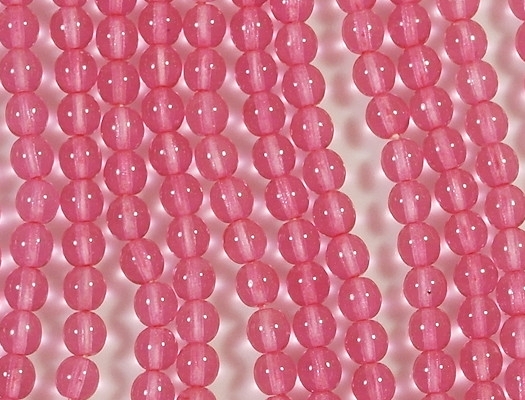 Also, the beads show no evidence of fading, as can happen with pearls. Pink is not a color that usually fades.